Check out the new Historical Exposition – Peratus et Volus (Ready and Willing) -Opening Friday May 9th within the Arbor Gallery Centre for Contemporary Art, Showcasing the Higginson Officers of the Prescott Militia and rarely seen family historical artefacts which will also highlight the Prescott Militia during the conflict of the Fenians. Come to the Higginson Tower and Arbour Gallery to visit an 1860s Volunteer Militia Camp. The Living History Re-enactors will be animating the site by conducting demonstrations and sharing their experiences about Militia life. 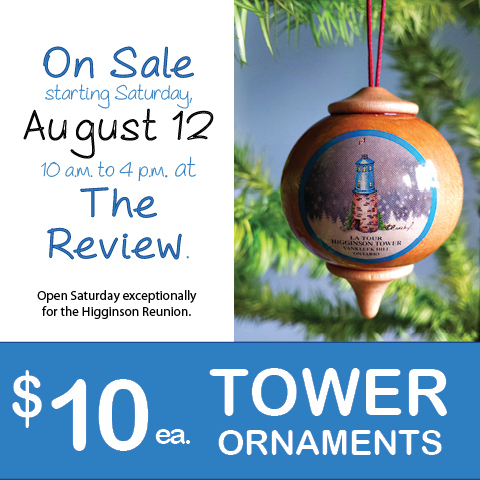 An Old Time Photo Booth will be setting up shop at the Tower on Saturday only.